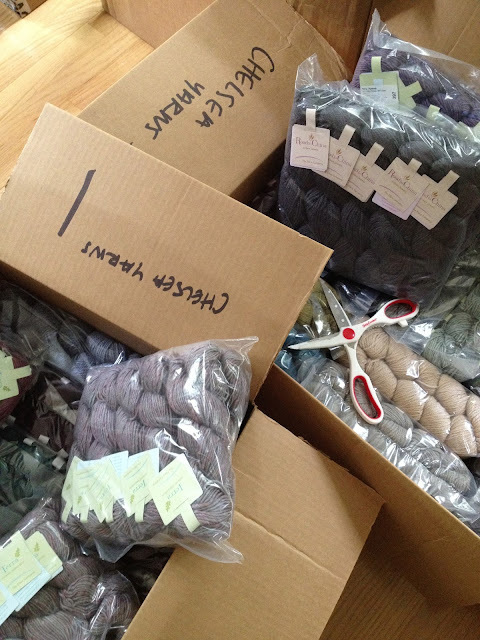 Chelsea Yarns: Can you say delivery?? The Fibre Company came yesterday!!! The yarns and the colors are so gorgeous!!! 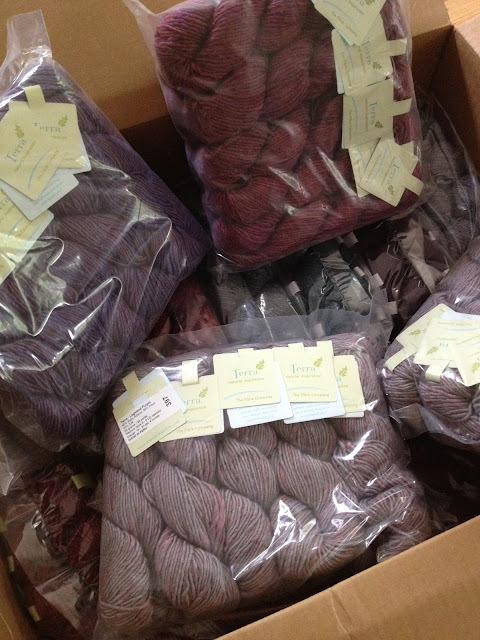 And we even got the new yarn Tundra! Can't wait to swatch and make something with that! It's Baby Alpaca and Merino Wool with some silk! On 10-11 US needles 120 yards of heaven!!!! WE got every colorway! And we really have it stocked!!! And.......The huge shipment!!! What's so exciting is that we are expecting a TON more!!! Shibui is hiding in those boxes too! 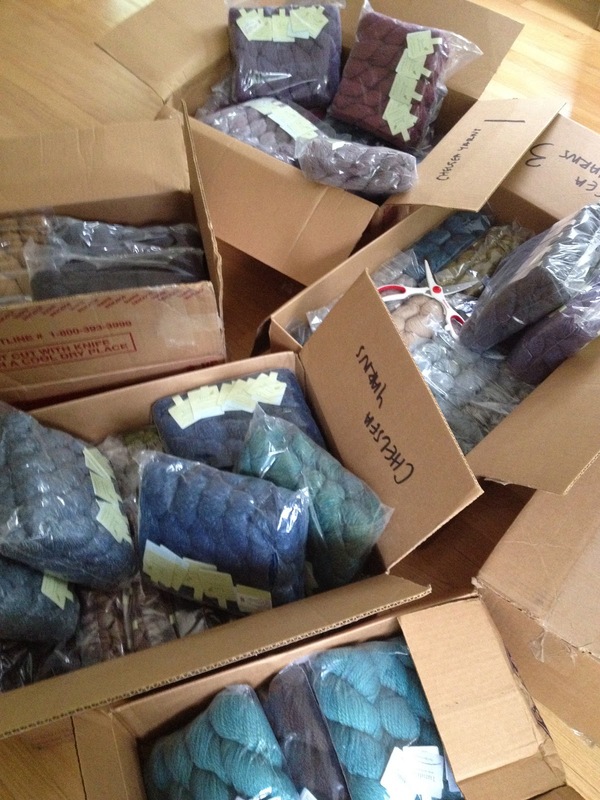 And I mean a TON of Shibui! We got the whole line! Every color! Every yarn! Absolutely gorgeous!!! !